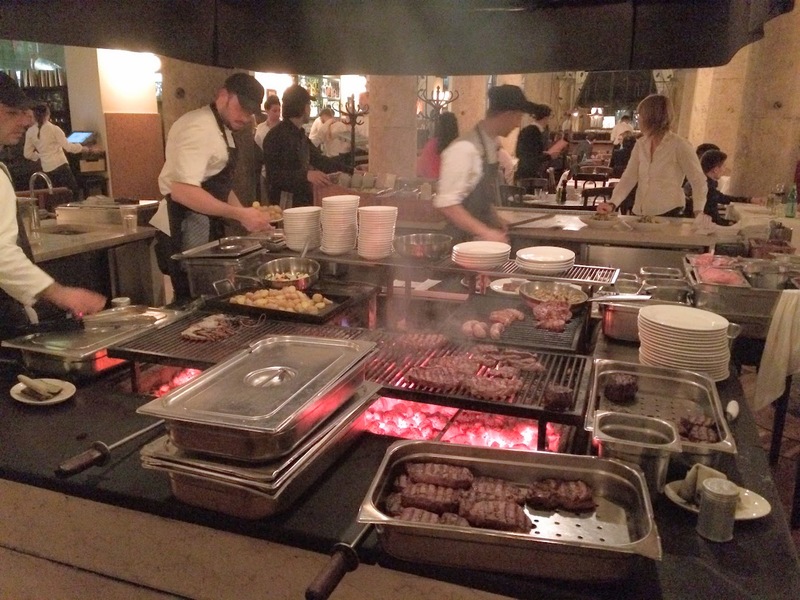 One of the newest hot spots in Munich is the Brenner Grill. 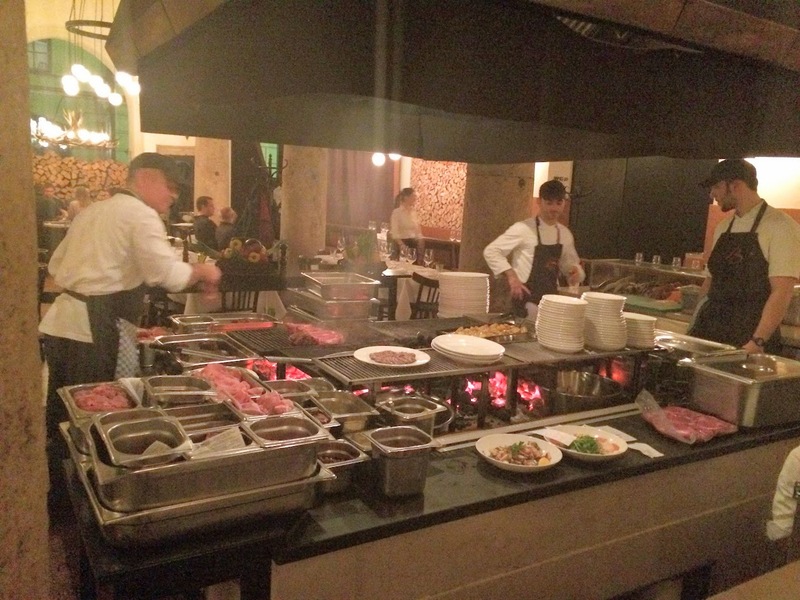 The food is supposed to be amazing as the meats are grilled nicely in a center grill and then the sides are served. Let’s check it out! 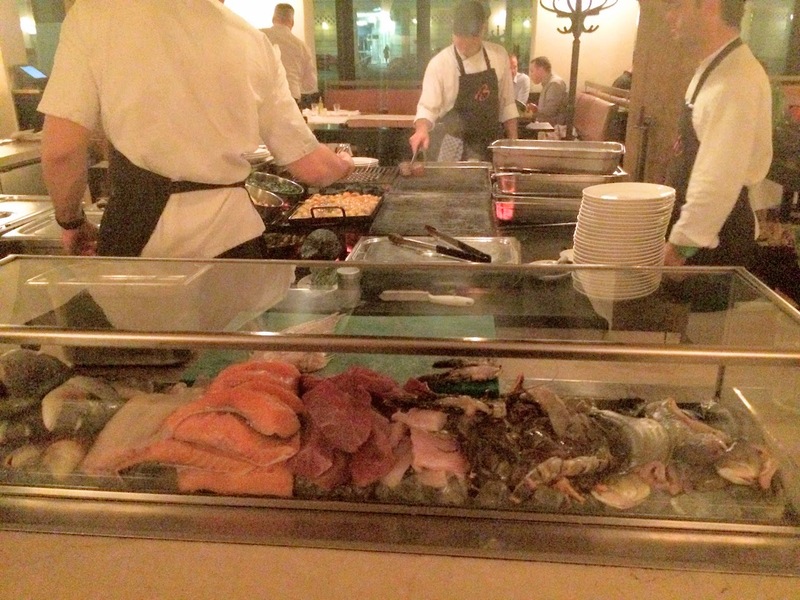 Here is the selection of fresh meats and seafood that they grill. They do pre-grill some items, but here is the grill in the middle of the massive hall. Hard at work in the center. Everyone has their stations and they grill it as the orders come in. 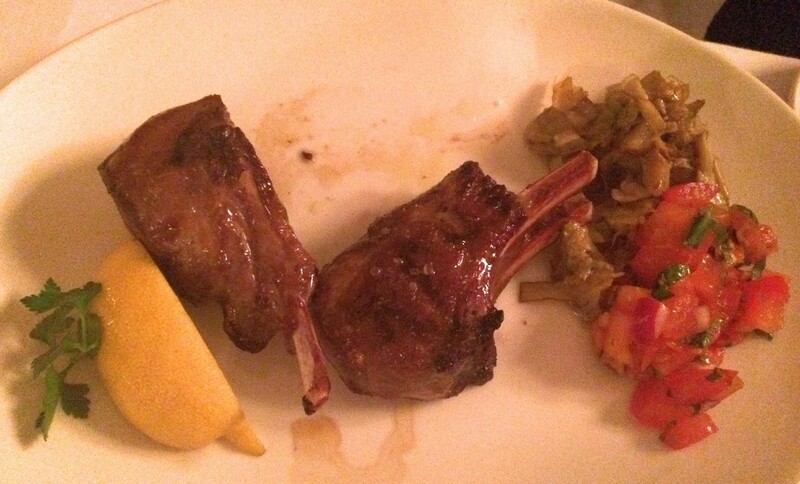 Here are some Lamb Chops that my colleague ordered. Looked nice and plump and juicy! 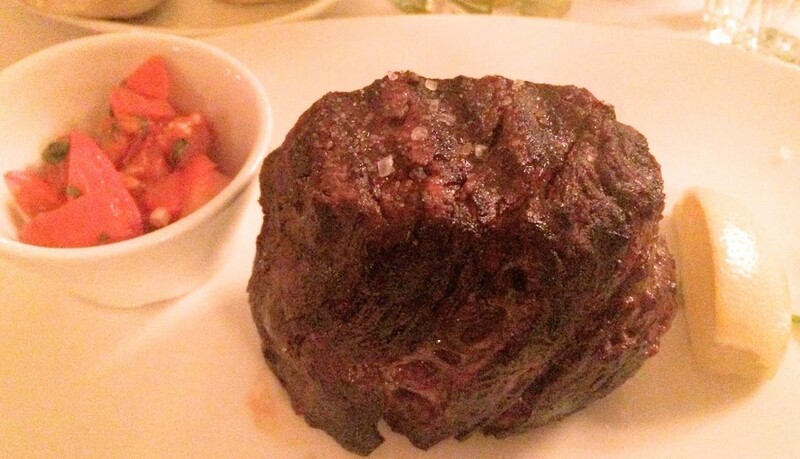 I decided to go for Argentinian Filet. There was a choice for US Filet, but why not go for Argentinian, something I can’t normally get. 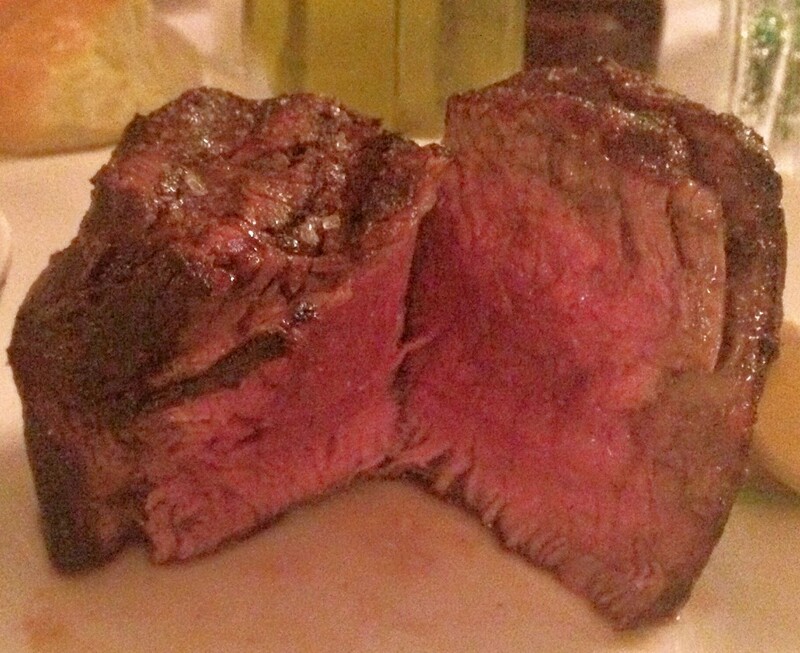 A beautiful Medium Rare. 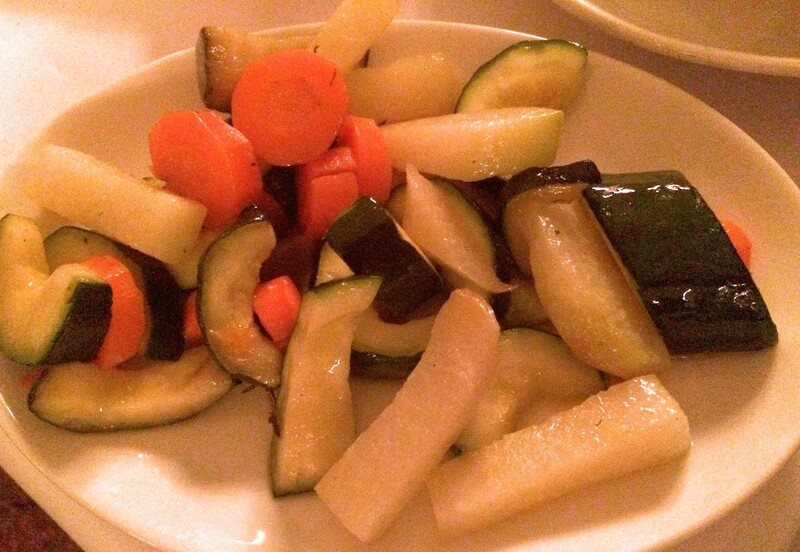 So tender and soft and juicy and succulent! 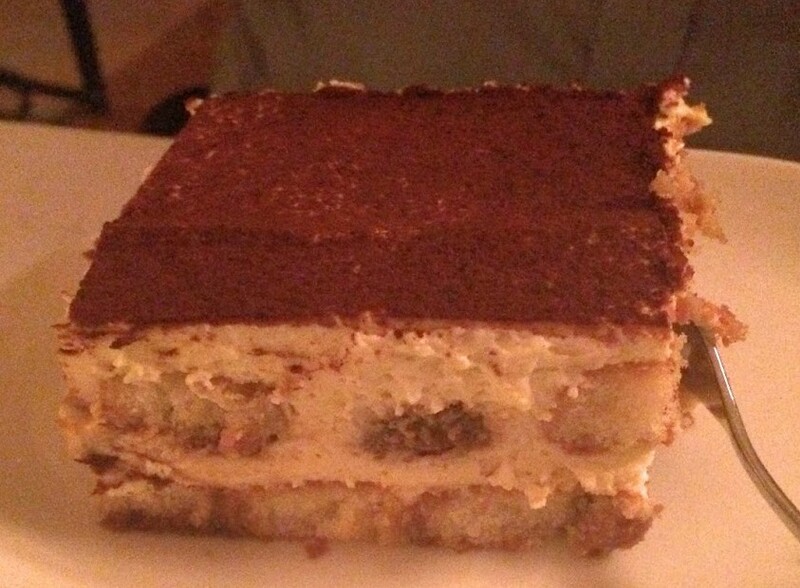 OK, now that the beef is finished, time for dessert! 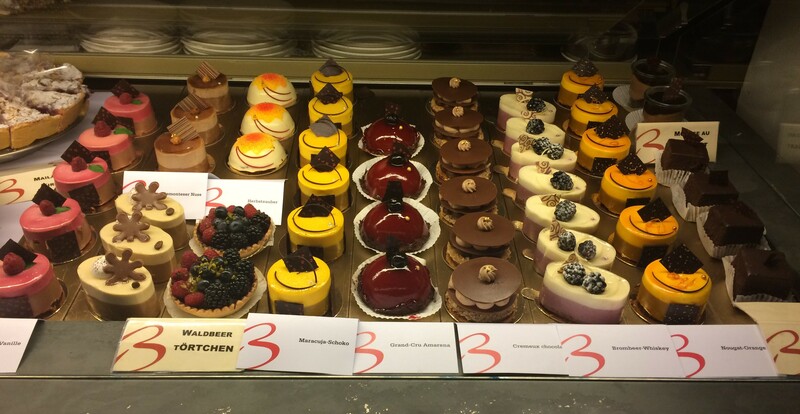 They have display cases in front for desserts if you want to choose from there. Or you can order off the regular menu. 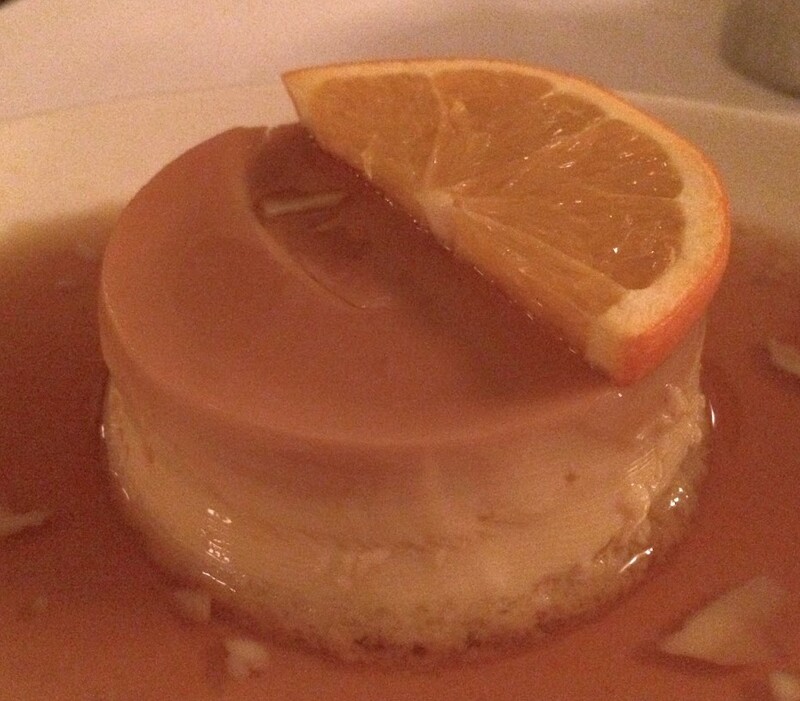 Creme Caramel. So soft and delicate. The buzz is exactly what it is. This place is amazing! 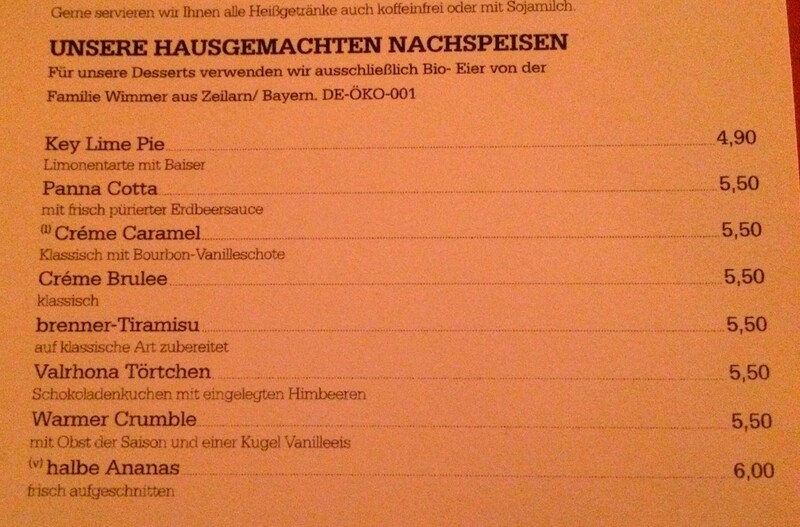 Posted in Beef, Munich, SteakTagged Beef, Germany, Munich, SteakBookmark the permalink.